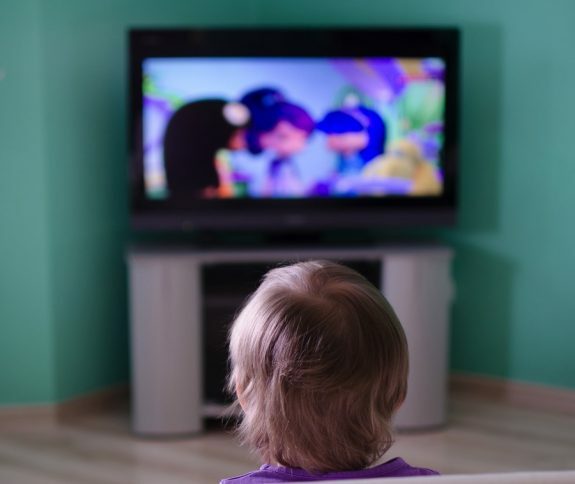 A Toronto couple who awoke in shock after finding their little girl missing, were surprised to find her happily watching cartoons at a local police station. The little girl, who appeared to be about three years old, woke up around 2am, dressed herself, unlocked the door and then walked herself to the grocery store on Monday morning. Staff at the Sobey’s grocery store on Broadview Avenue near Westwood Avenue noticed the child and called police. Police took the child to the station where she watched cartoons as officers knocked on doors in the neighbourhood, checked the local women’s shelter and stopped people on the street, looking for her parents. When her parents woke up three hours later they discovered their daughter missing and the front door open. They called police and were quickly reunited with the child. Acting Staff Sgt. Al Locken with 54 Division said the little girl was happy at the station and didn’t want to go home until her show was done. “She was in here having a great time,” he told CBC News. While this story has a happy ending, police remind parents to place a lock or a safety chain out of a young child’s reach on external doors.